Jordan is passionate about providing efficient and practical solutions for his clients. He is persistent and timely in his approach and is results-oriented. Jordan prides himself on being reachable and believes that access to justice is promoted by keeping it simple. Jordan's diverse background in law, business ownership and commodity trading allows him both a commercial and entrepreneurial perspective and he employs a common sense approach in achieving resolution. 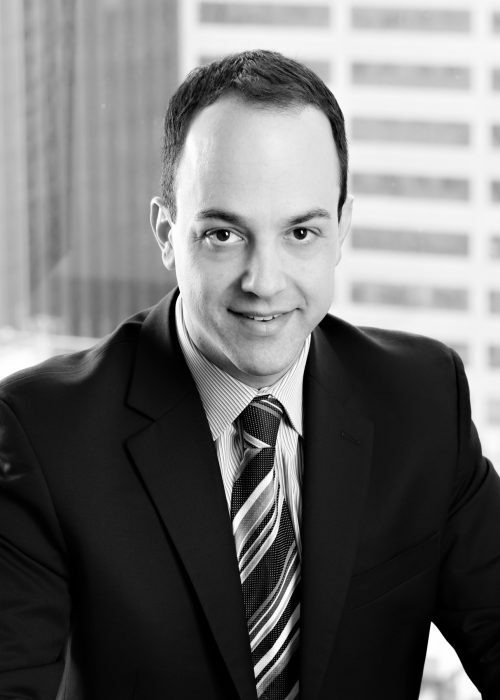 Jordan has appeared as counsel before all levels of Courts in Ontario. His principle focus is on insurance defence matters, including property and casualty claims, construction, maritime and coverage issues. Jordan attended York University in Toronto where he majored in Philosphy. He obtained his LLB from the University of Windsor. Jordan is a Notary Public in the Province of Ontario and is a proud graduate of the Rapport Leadership Program. Jordan has been involved with the Canadian Shaare Zedek Hospital Foundation since 2008. He actively participates in planning annual fundraising events. These events have included hockey games with NHL alumni, ski days, and more recently the charity’s inaugural poker tournament.